PayPal Standard takes customers from your site to PayPal’s secure site to finish paying for their order. Go to paypal.com and sign up for a PayPal Business account or convert an existing Personal account to Business. It’s free. 1/ Go to: WooCommerce > Settings > Payments. 2/ Use the toggle under Enabled to select PayPal. 3/ Select Set up. You are taken to the PayPal Standard settings. 4/ Enter your email address in the PayPal Email field, which is the most important thing to configure before taking payments. Must match the same email address on your PayPal Business account. Under Advanced Options, complete fields as needed. 5/ Tick the box for Enable PayPal Sandbox if you wish to test the checkout process during your store’s development. With sandbox enabled, no payment/money is taken. To use Sandbox mode, you need a separate sandbox account via PayPal Sandbox. 6/ Debug log may also be turned on, which can be useful during development. You may need to first create a wc-logs folder and set permissions to make it writable. These logs are available at WooCommerce > System Status > Logs and then select the PayPal log from the dropdown. 7/ Tick the box for Enable IPN Email Notifications (optional). Instant Payment Notifications (IPN) are sent from PayPal when you receive a payment, issue a refund or a chargeback or cancellation. 8/ Enter an email address for Receiver Mail if this address is different than the PayPal email address you entered above in step 4. 9/ PayPal Identity Token (optional). Only required if you signed up for the Data Transfer option on your PayPal account; can be used to verify payments if you have IPN issues. 10/ Enter an Invoice Prefix (useful if you have multiple stores). WC is default to denote WooCommerce transactions. Address override option. PayPal verifies addresses therefore this setting can cause errors. We recommend keeping it disabled, but it can be useful in preventing address information from being changed. Note: When selecting the option to send Shipping details, PayPal verifies passed addresses and can reject the customer if they don’t fully recognize the address. If “Shipping Details” checkbox is not checked – PayPal Seller protection might not be valid, since PayPal requires buyer’s Shipping Address for Seller Protection. 12/ Payment Action lets you choose to Capture funds immediately or only Authorize*. 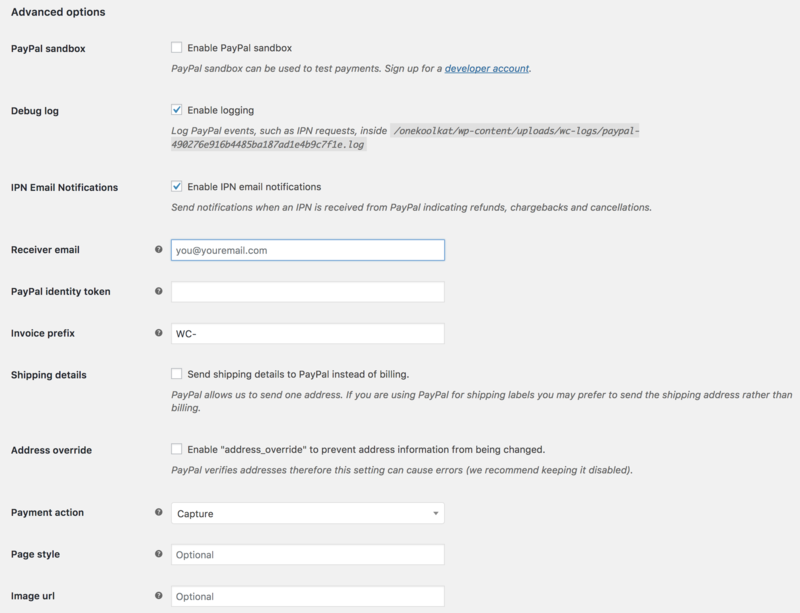 *Once an ‘authorize only’ order has been changed to Processing or Completed, funds are automatically captured as long as you have entered your PayPal API Credentials (as below) under WooCommerce > Settings > Payments > PayPal. It is no longer a manual process as of WooCommerce 3.0. 13/ Page Style (optional) allows you to select the name of a custom page from your PayPal account. 14/ Image URL (optional) gives the option to specify a 150×50 image to display on PayPal checkout pages. Go to My Selling Tools > API Access. Select the NVP/SOAP API integration (Classic) > View API Signature. View and copy API Username, API Password and API Signature as needed. Most of the configuration is handled from WooCommerce, but there are a few items to set up at PayPal. It’s necessary for WooCommerce to set up your PayPal IPN URL. PayPal Instant Payment Notifications (PayPal IPN) tells your store that payment has been successful (or not). To learn more about how to set this up on PayPal, see: How to Activate IPN in your PayPal Account. In your PayPal Business account, go to: Profile > Profile and settings > My selling tools. Click on Instant payment notifications to set your URL. Regardless of this setting, it redirects dynamically to the correct receipt page. Add ?utm_nooverride=1 to the end of your URL to ensure that transactions (i.e., conversions) are credited to the original traffic source, rather than PayPal. Payment is made offsite on the PayPal website and not your checkout. Adding an SSL certificate is optional but definitely recommended. SSL is a ranking factor in search results; it also keeps any information transmitted to and from your site secure, and customers expect it. For free and low-cost options, see: SSL and HTTPS. It’s free to download both WooCommerce and the PayPal Powered by Braintree payment gateway. PayPal charges you transaction fees depending on the account you qualify for and the number/volume of sales you make. More at: Which Payment Option is Right for Me? WooCommerce does not charge you a fee. If the customer abandons the order in PayPal (and not your WooCommerce store), the order shows as Pending (unpaid). No action is necessary. When the hold stock time is reached, the order will be automatically canceled. You have more than nine line items, including shipping – PayPal only supports nine items. This is to prevent rounding errors and to ensure correct totals are charged. When line items are not sent, the items are grouped and named ‘Order #x’. WooCommerce 2.6+ sends shipping costs as a ‘real’ shipping line item via PayPals API. If your PayPal account has shipping rules setup within it, these will take over and remove the cost WooCommerce sends across. In this case, the PayPal IPN is failing. Check your server and see the Debugging IPN issues section below. WooCommerce uses an “invoice” system. There is a setting that “blocks duplicate invoices.” With two websites using invoices, it is inevitable that there will be duplicate invoice numbers. 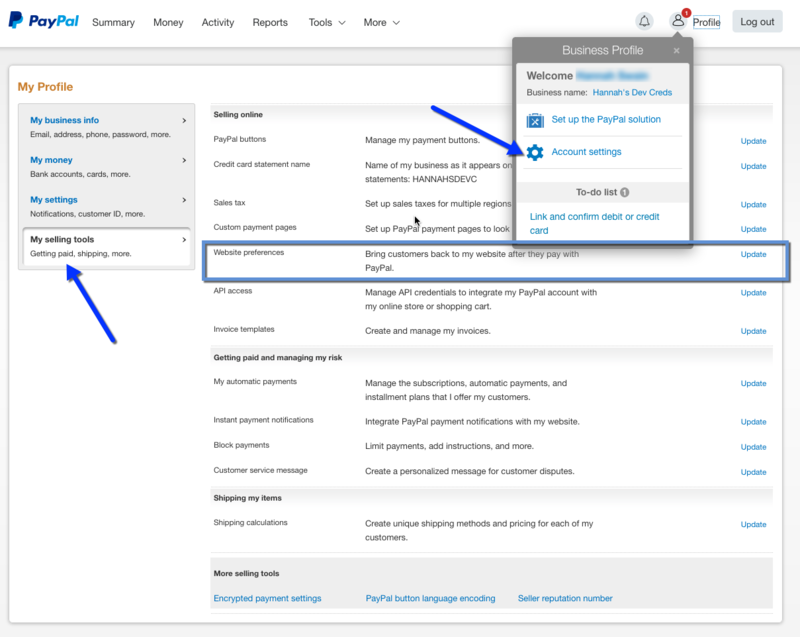 By de-selecting that setting in PayPal, the invoices have no issue. Please check that the Invoice Prefix in your WooCommerce PayPal settings is different for each site. There is an option that allows customers to check out without creating an account, but it does need enabled in your PayPal account first. Once logged in select Profile. Then in the left navigation go to My selling tools > Website Preferences, and turn on PayPal Account Optional. To learn more, see: PayPal’s Website. Yes, if you use the Shipping address. No, if you use your Billing address (default). The PayPal API does not recognize more than one address. The “Seller only accepts payments from unencrypted payments” message is from PayPal. This error displays when your PayPal Account Profile is set to only accept payments from “encrypted” buttons but your item button code is “not” encrypted. This interrupts the payment process and displays the error message. Log into your PayPay Account. Select the Profile tab or Edit Profile link. 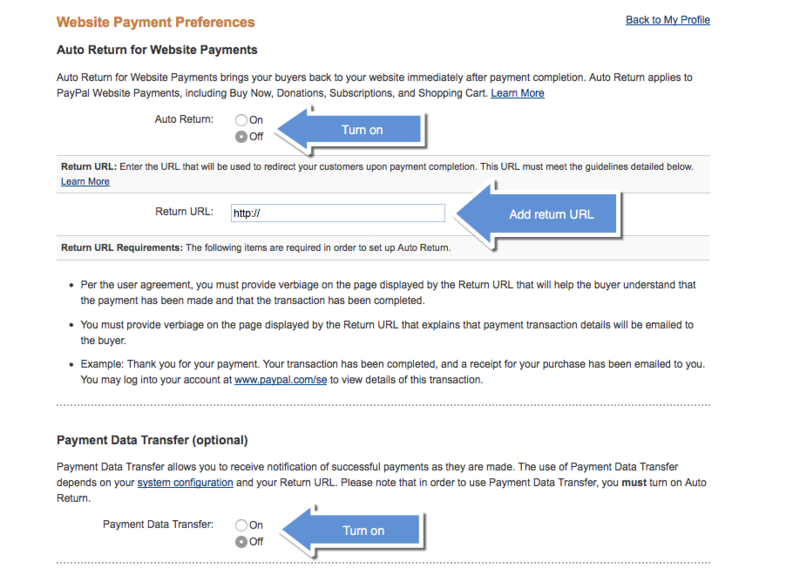 Under Selling Preferences, select Website Payment Preferences. In the “Encrypted Website Payments” section, select Off. WooCommerce order numbers may not be unique if you’re running multiple stores or use your PayPal account for other things. The below steps can be taken if IPN is not updating your orders. While working on these problems you may want to prevent pending (unpaid) orders cancelling automatically so you have a chance to manually confirm payment without IPN. To do this, go to WooCommerce > Settings > Products > Inventory and set the “Hold Stock (minutes)” option to nothing (leave the field empty). If you are testing locally, on MAMP for example, PayPal is unable to talk to your store. This is normal — it will work when you host it on the web. *To check if this is supported by your server, go to WooCommerce > System Status and see the results. The gateway talks to PayPal via a https URL. Your firewall needs to have the outgoing port 443 open. After enabling logs via the settings, check to see that responses are being received. If they are not, then the problem may be due to your WordPress install or a plugin conflict. Turn off other plugins. Check that the Email Address in the PayPal gateway settings matches the email address passed back by IPN. Use your primary email address for your PayPal account. They need to match. Failure to do so will cause the IPN response to be rejected. This could result in orders remaining on hold or not completing. If the order status is not changing on order complete, check if there is a conflict with W3 Total Cache. When PayPal is in sandbox mode, it automatically sets payments to Pending if they are made in a currency other than the sandbox currency. Ensure that the currency you have set in PayPal sandbox is the same as the currency in your WooCommerce store. Get in touch with your host. Some hosts, such as GoDaddy, are known to have problems with IPN, and this is unfortunately out of our control. Make sure the response from PayPal isn’t blocked by caching, firewalls, or other things in place on your server. How much does it cost to use PayPal with WooCommerce? I have pending orders, but no payment was received. What data is sent to PayPal when a customer is checking out? Why am I getting payments, but orders are still pending? *OR* Why is my cart not clearing after making payment? Why do I get an Internal Server Error? 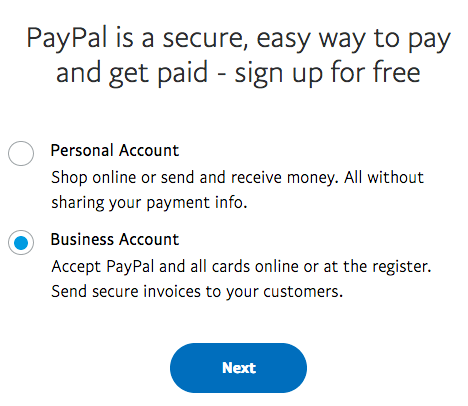 Do customers need a PayPal account? Is PayPal Seller Protection in effect? Why don’t customers see the link to download products after paying and getting redirected back to my website?